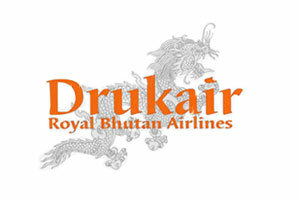 Welcome to Bhutan – the ‘Land of the Thunder Dragon’. Perched among the peaks of the mighty Himalaya, the tiny kingdom of Bhutan has been described as the last Shangri-La, shrouded in centuries of mystery. 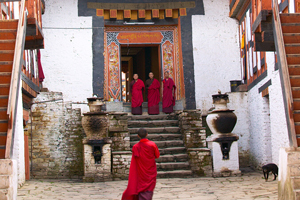 Bhutan offers a fascinating insight into a Buddhist culture where time has stood still and the chance to experience Himalayan landscapes of astounding, untouched beauty. 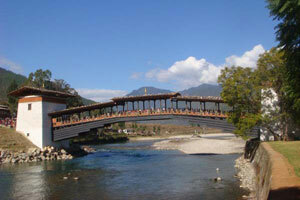 Blue Poppy Tours and Treks has many years of experience revealing to clients the mysteries of Bhutan’s traditions and majestic landscapes. Whether you’re interested in visiting ancient Buddhist monasteries, experiencing a traditional Bhutanese festival, or trekking in stunning mountain scenery, our speciality is to tailor your trip to your needs and make it an unforgettable holiday. We offer culture tours, festival tours, treks and a mixture of all three, as well as specialist tours such as birdwatching, botanical and textile tours. We specialise in tailor made itineraries for independent travellers and we are always happy to design itineraries based on your interests – just contact us and let us know when you want to travel, how long for, how many in your group and what your interests are and we will suggest a suitable itinerary for you. 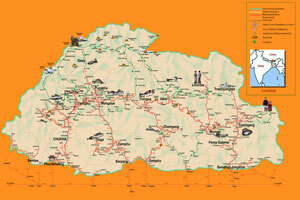 We pride ourselves on our extensive local contacts and on going the extra mile to make each trip special. We can arrange stays in traditional Bhutanese farmhouses, bird-watching, mountain biking, archery lessons, tours focusing on local textiles, photography, filming, Buddhist meditation and much more. 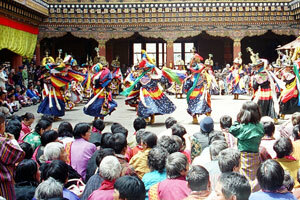 Let us help you to see Bhutan through Bhutanese eyes. We are excited to be repeating our Trail Run expedition in November 2019 – an exciting 180 km/ 8 day adventure run hosted in conjunction with Trail Run Adventures. Contact us to find out more about this ultra run extraordinaire! We are also pleased to be partnering again with 2:09 Events to offer the Thunder Dragon Marathon which will take place in Paro on 26 May 2019. A variety of packages will be available to include trekking and sightseeing in addition to the full or half marathon – an amazing opportunity to run in the beautiful surroundings of Paro valley. Get in touch for details! We are proud to announce our partnership with a local charitable foundation called the Loden Foundation. 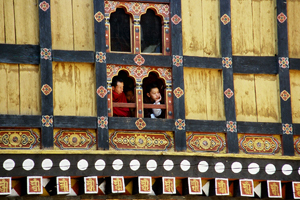 Its objectives are to promote education and learning in Bhutan, to foster an educational, literary and intellectual culture and to cultivate an enlightened ethos in Bhutanese society at large. In addition to its early learning centres, the first of their kind in Bhutan, Loden offers a successful entrepreneurship programme aimed at helping young Bhutanese become self-starters in business. If you would be interested to find out more about Loden’s work and to visit them during your time in Bhutan let us know and we would be pleased to facilitate this. Let us know when you contact us that you are interested in Loden’s work and if your booking is confirmed we will make a donation to Loden from your tour payment.